When it comes to art and the way it makes your heart feel, we can see that the more delicate the art you appreciate, the more you appreciate it. 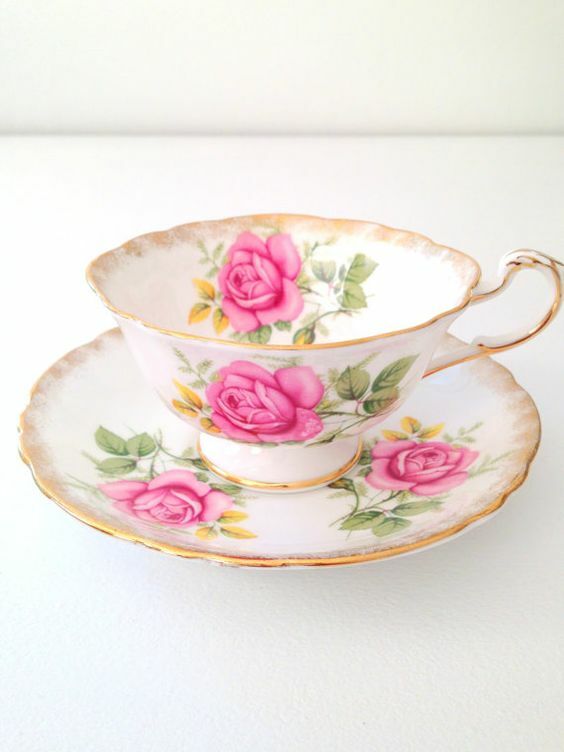 If you do not believe us, then you have to look at people who are collecting vintage tea cups and you will know what we mean. 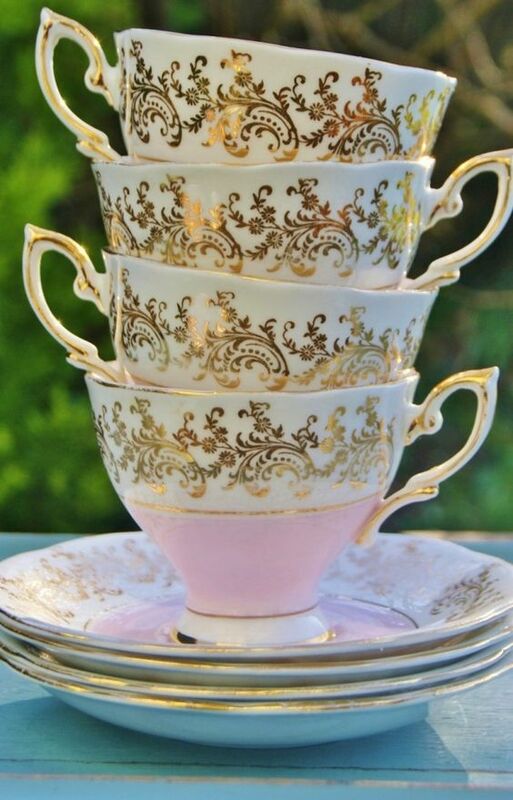 Even those who are not very enamored of the ritual drinking of tea will find it in their hearts to fall in love with these vintage tea cups. 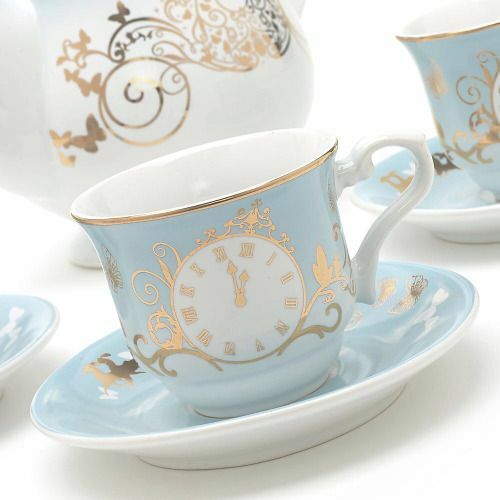 They are a work of art that have the power to take you back to the past. 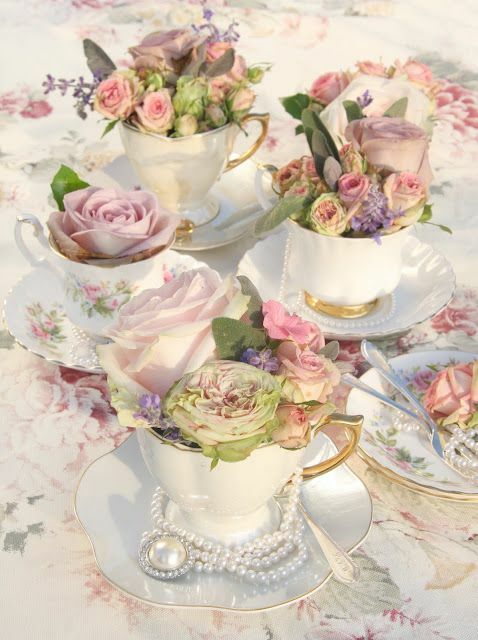 A past that was gracious and set at a more sedate pace. 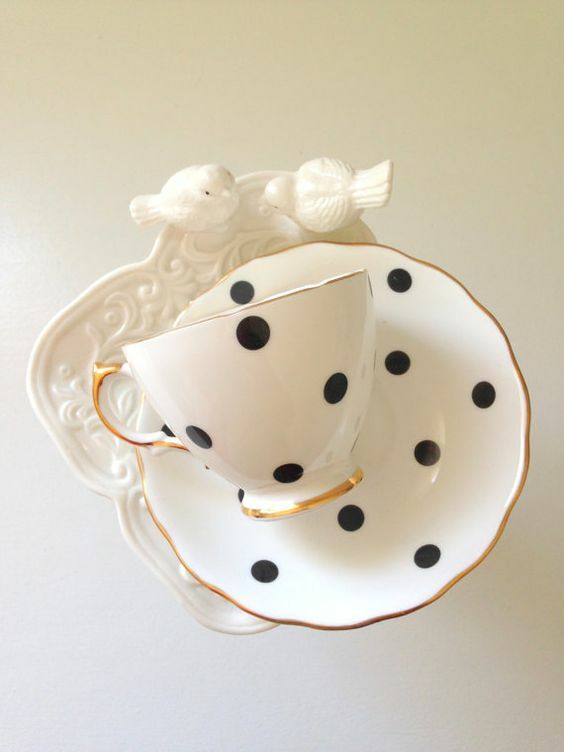 Looking at a vintage tea cup is an experience that is not like when you explore the world of ceramic animals. 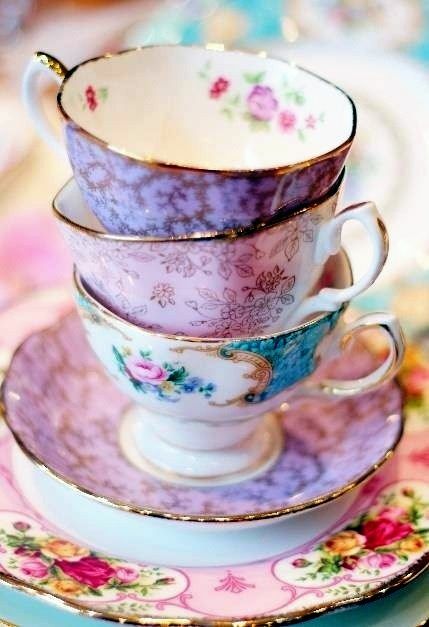 In some cultures, the drinking of tea from these delicate porcelain and ceramic cups was a privilege not available to all. 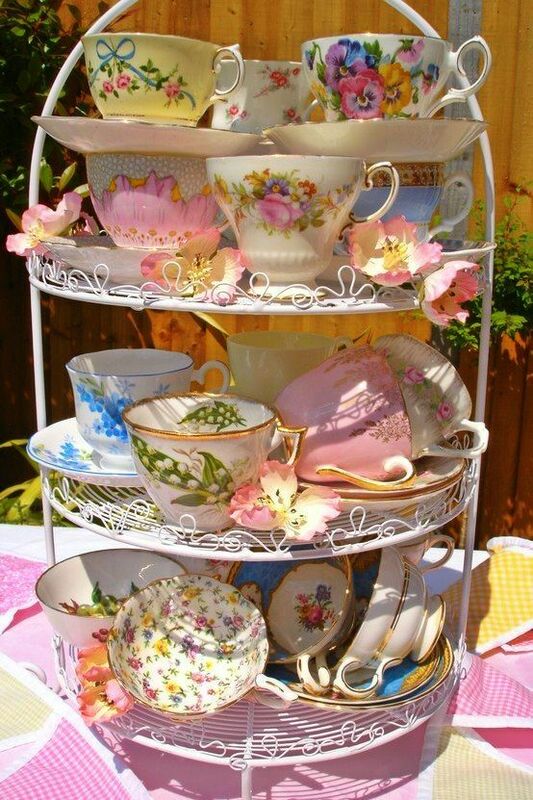 The fascinating world of ceramic art is there for you to read and know more about. 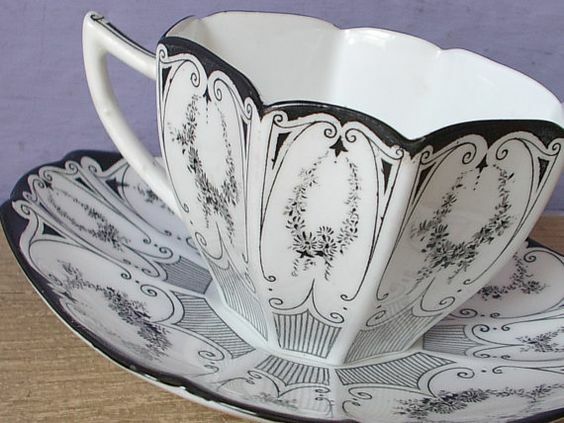 The thing is today, most of us like our cuppa out of a funny and sturdy cup, the beauty of which is undeniable but not comparable to the vintage cup. 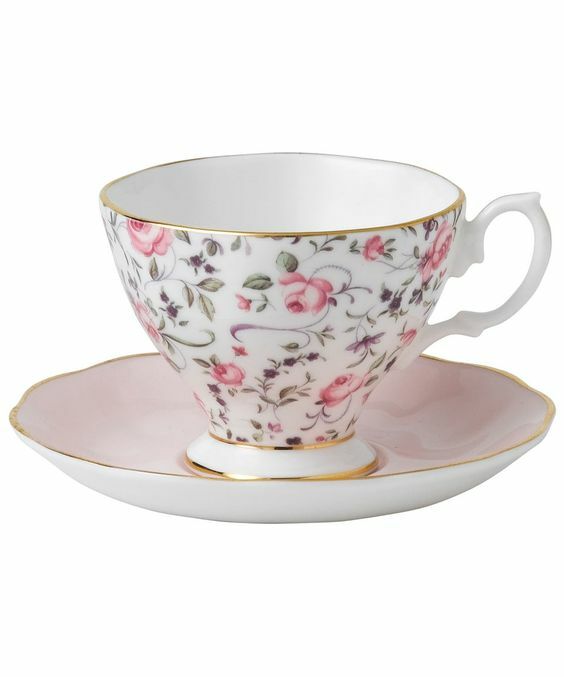 But who says that you have to use the vintage cup only to drink tea? 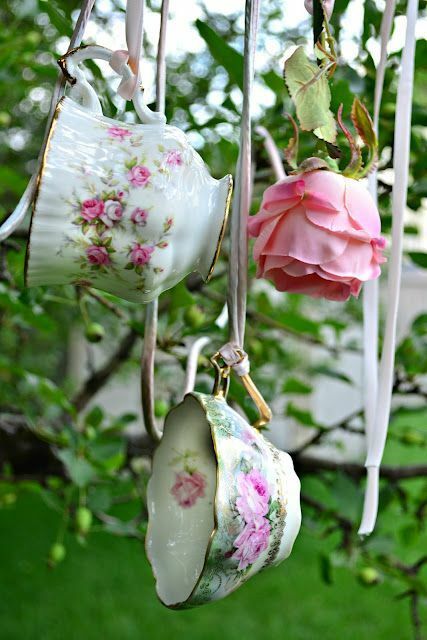 You can use this for decoration too. 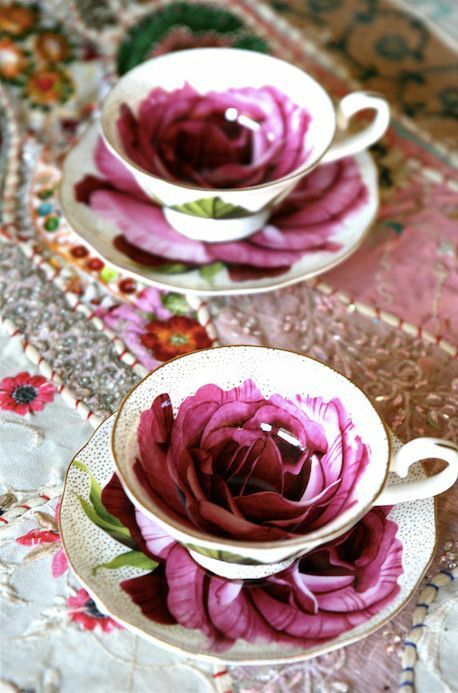 You can look at these dreamy Moroccan decoration ideas to know how well ceramic can be used for decoration and embellishment. 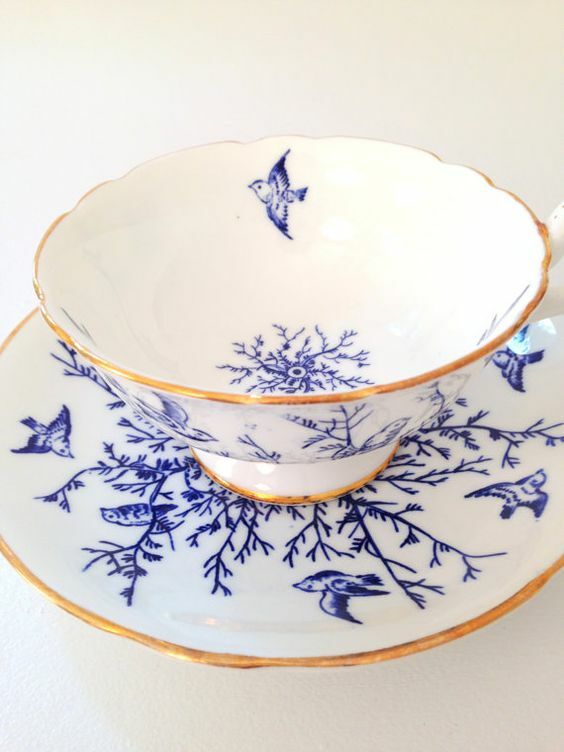 Breakable but worth it: Yes, a vintage tea cup is expensive, fragile and difficult to handle but it is also very pretty and has a beauty that is very tempting. 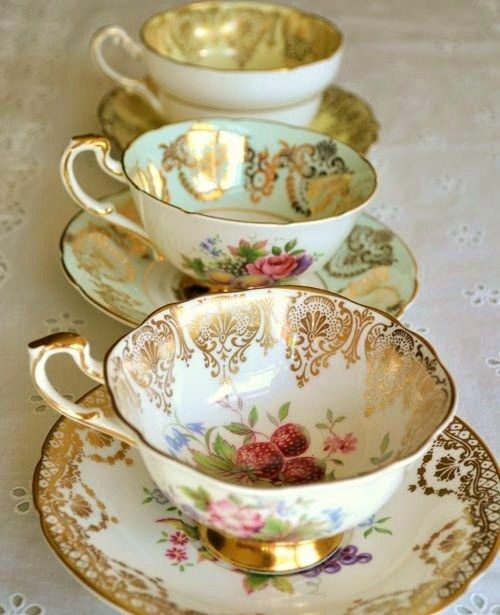 Even the roughest men and women will find that the touch of their hands become naturally gentle and their hold firmer when they handle vintage tea cups. This is because one can see the amount of design and creative work that has gone into them. 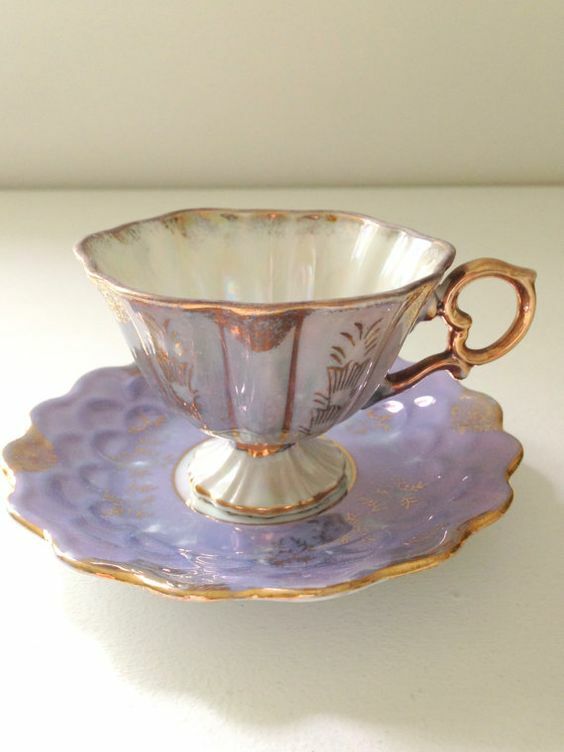 You would therefore not be surprised to know that there are actually some porcelain teacups that are actually translucent; that is how thin they are made. 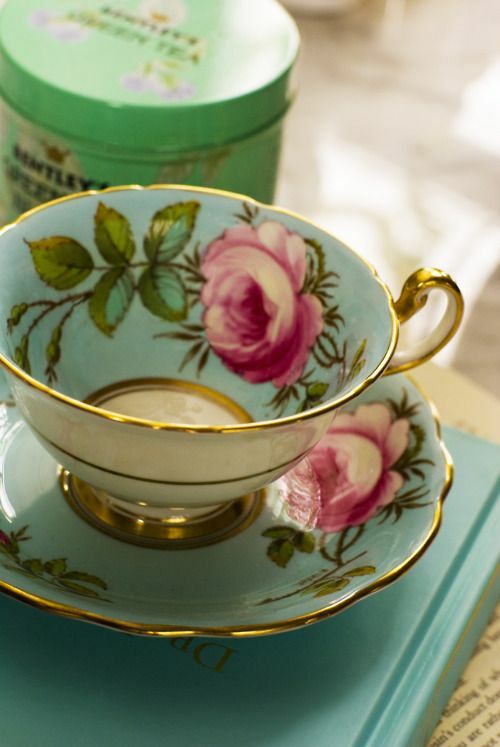 Utilitarian or decorative: We know that vintage cups are not just for decoration though many people may use them as such given that they are valuable and fragile. 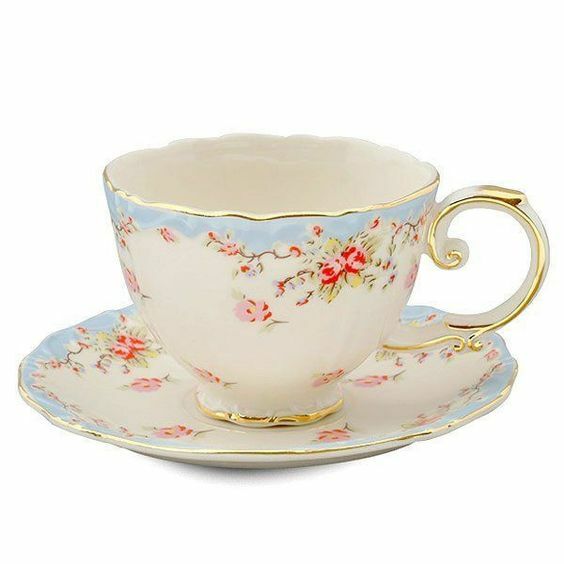 But if you are thinking of impressing someone special (especially if that someone loves such things), then serving them a grand tea in these cups is going to make them feel privileged. 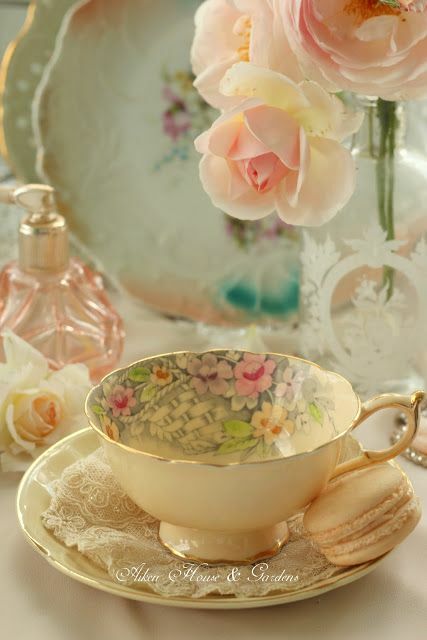 There is no denying the utility value of a teacup, vintage or not. 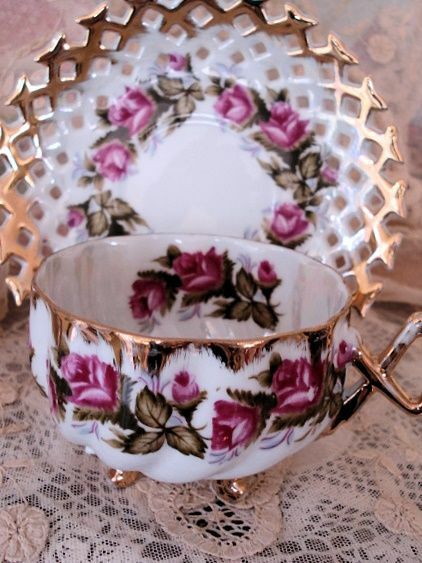 Even the saucer that is part of the vintage teacup plays a role by helping you hold on to the biscuit, cookie or even the spoon that is used to stir the hot beverage that is served in the cup. 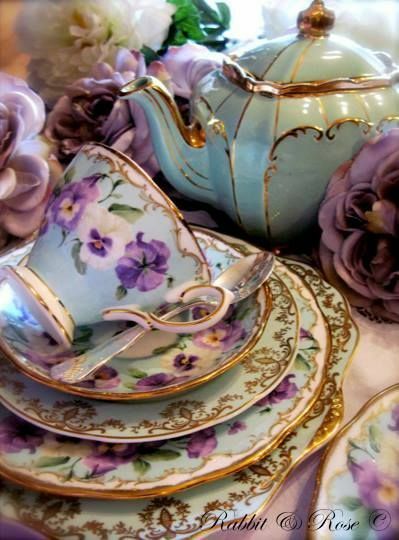 Colors and metallic hues: In most instances, the porcelain, ceramic or bone china teacup would be in lighter hues like white, cream or pastel shades like baby blue, pink or lightest of yellows. 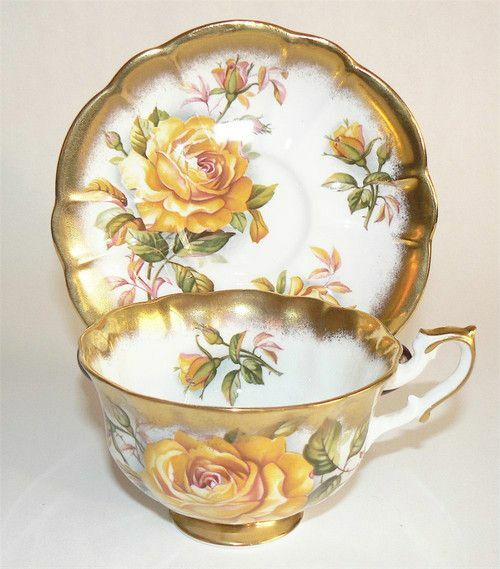 But that does not mean that you cannot find intense and darker colored vintage teacups. 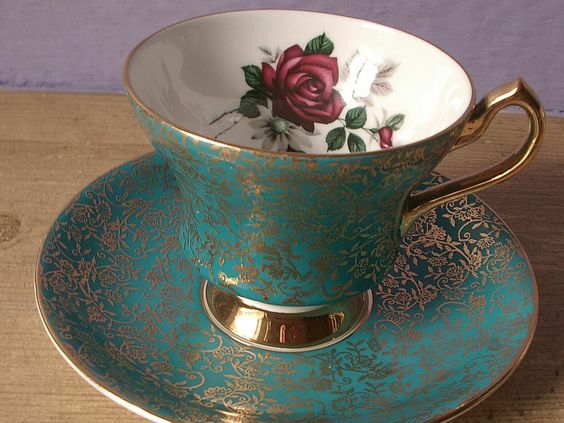 In fact, you can even find teacups with metallic rims that make them appear almost jewel like. 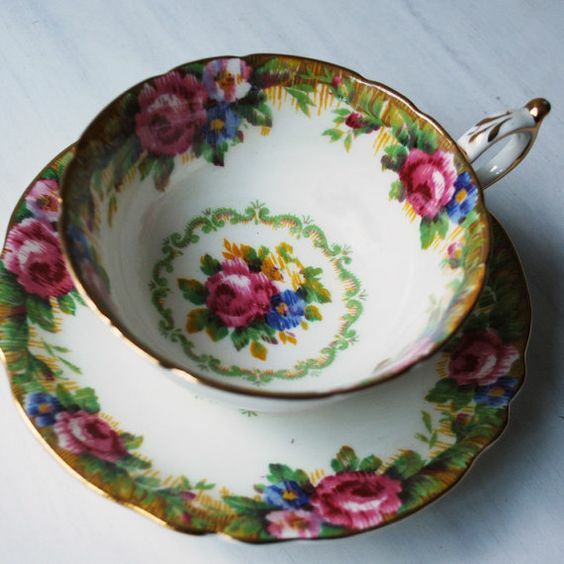 The patterns and designs as well as the color combinations that you can find on teacups can be distinctive. 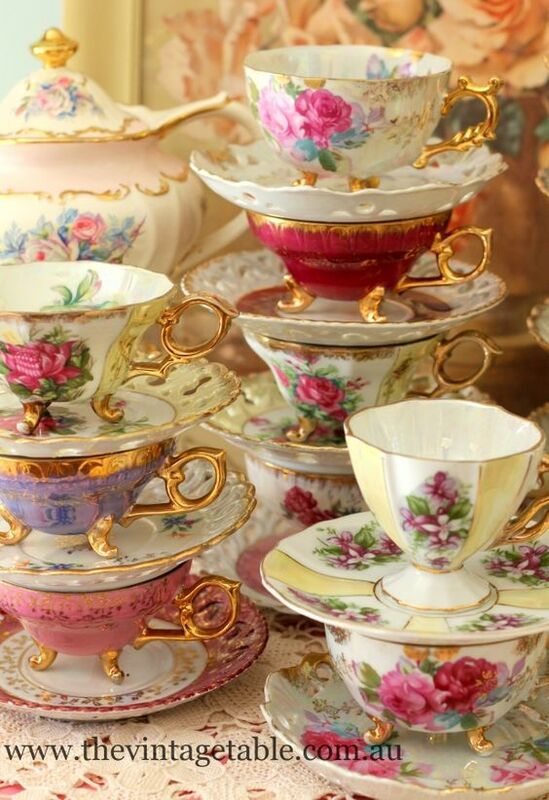 An expert on vintage teacups will be able to identify the origin of the designer and design by just looking at the shapes, the designs and the colors used to make the vintage cup. 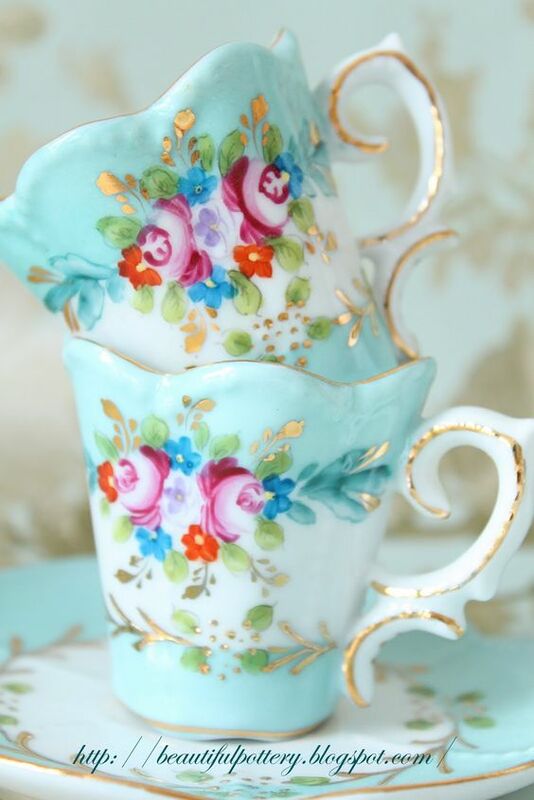 What do you think about the charms of vintage cups?